Anxiety is a condition where people can feel an inner sense of dread combing fear, worry, and uneasiness and can include the physical symptoms of difficult concentration,tiredness, palpitations, muscle tension and restlessness. Sometimes people report just having a feeling of butterflies in their stomach whereas others can wake in the middle of the night with a churning feeling in their stomach. Modern research done at the Mazra Mental Health Centre in conjunction with other teaching institutes has found that acupuncture for anxiety has had a positive effect. Ironically, many modern pharmaceuticals actually cause anxiety because of their side effects. There are some diseases such as chronic obstructive pulmonary disease (COPD) and heart arrhythmia where anxiety is a key note accompanying symptom. Some of the anti-anxiety medications actually increase the risk of suicide in teenagers and young adults and other medications such as Prozac cause insomnia. Modern western medical treatments have also resorted to cognitive behavioral therapy or electro-convulsive therapy but sadly with limited results. Modern research done at the Mazra Mental Health Centre in conjunction with other teaching institutes found that acupuncture has a positive effect on improving anxiety. Parameters such as glucose levels and heart rate were monitored to determine the change in the person’s body. Statistical analysis revealed that the acupuncture also improved the sleep of patients as well as reducing anxiety and depression. The researchers suggested that the acupuncture increases serotonin, ACTH, noradrenaline and pituitary beta-endorphins. The research in this instance involved fully qualified licensed acupuncturists doing a complete traditional Chinese medicine diagnosis and applying appropriate acupuncture treatment to treat the cause the imbalance and performed individual tailor made treatments. Sometimes acupuncture research involves using researchers who have no acupuncture knowledge, experience or training. Just imagine getting a brick layer to do some research on a physiotherapy technique to ascertain if it is an effective method of treatment. Of course results will be flawed to begin with. Traditional Chinese medicine views that anxiety can come about because of a number of different causes including an imbalance in the spleen energy. The spleen is responsible for processing of the nutrients taken in by the stomach and also controls “thinking’. In fact too much “thinking” or what is called pensiveness is classified as a spleen disorder. 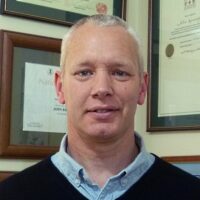 Mr Alan Jansson from Australia’s Gold Coast who was trained under the guidance of master physician Ikedai Sensai in the art of traditional Japanese acupuncture says “Modern day living by default just creates too much thinking and too much sitting, both of which weaken spleen energy. Its hard to break the cycle, too much thinking weakens the spleen which leads to more worry. The more you worry the more the internal organs get damaged and weak“. 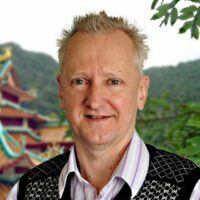 It has been over ten years since Alan Jansson delivered a seminar and workshop in New Zealand and members of the New Zealand Register of Acupuncturists Inc are looking forward to his second seminar in Auckland in February 2014. Anxiety is one of many mental emotional states that acupuncture can help. Over the centuries there have been numerous text references to the specific individual acupuncture point functions of addressing symptoms that correspond to the modern day term of anxiety. Acupuncture can also help with depression, insomnia and irritability. There are some diseases such as chronic obstructive pulmonary disease (COPD) and heart arrhythmia where anxiety is a key note accompanying symptom and acupuncture can help here.